Ofcom has rapped LBC after presenter Steve Allen mocked a blind BBC journalist who has been assigned a guide horse because he is afraid of dogs, saying: “I’ve never heard of anything so stupid”. The talk radio host, who is on air between 4am and 7am on weekdays, made the comments as he discussed a Times story headlined: “Guide horse for blind man afraid of dogs” on 1 October. 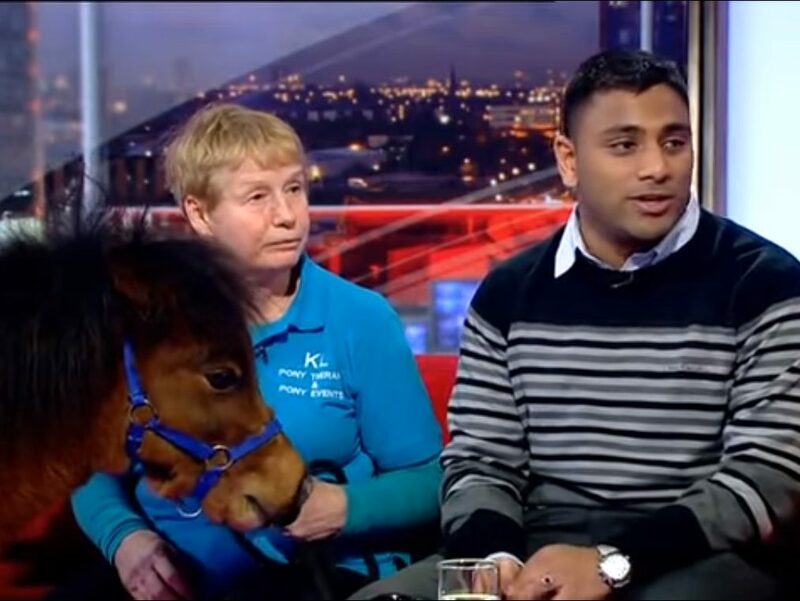 BBC North West Tonight journalist Mohammed Salim Patel will be helped by a US miniature horse called Digby, which will give him the same assistance as a guide dog once his training is complete. Patel (pictured) is afraid of dogs and hopes Digby will be able to help him on his commute and with everyday tasks. Allen said: “Also, the guide horse for the blind man who’s afraid of dogs. Well if he’s blind, tell him it’s a rabbit or something. I’ve never heard of anything so stupid. Allen added that if Patel is afraid of dogs, “don’t give him anything at all then. Just give him a white stick”. He then compared it to the BBC hiring a blind cameraman, saying: “I was sort of thinking to myself how does that work out? He’s blind – somebody’s going to have to say to him ‘little bit to the right, little bit to the left, little bit, oh, up, oh no missed it completely’. It just doesn’t work. Ofcom investigated after a listener complained Allen had made discriminatory comments about blind people. LBC told the regulator the programme is centred around Allen’s “unique and acerbic take on the news of the day” and that his “very brief” commentary on this story had lasted under a minute. 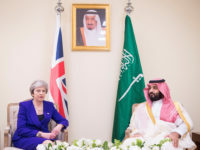 The radio station added that Allen had been “expressing genuine surprise” at the Times story and had “rhetorically questioned the practicality of using a guide horse for assistance within an office space or on public transport”. It also said Allen had put across the “valid point” that not all blind people use guide dogs, and added that the presenter was not aware a similar guide horse scheme already exists in the US. LBC told Ofcom Allen was “aware that his comments may have had the capacity to offend” but that it was not his intention “to treat the blind community with insensitivity” and that he has a long history of working with the Royal National Institute of Blind People. It said he has agreed to treat similar discussions with “more consideration” in future. LBC also improved some of its compliance procedures because of the investigation, including giving specialised training with an emphasis on sensitivity around material relating to minority communities to its presenters and producers. It assigned an additional producer to Allen’s show “with specific responsibility for compliance and control of the ‘dump button’”, and said its compliance team would carry out more sampling and monitoring of the programme. Ofcom said it took into account LBC’s improvements but that it did not consider that the inclusion of the offensive material was justified by its context, making it in breach of Rule 2.3 of the Ofcom Broadcasting Code. The broadcast regulator said that Allen’s comment “if he’s blind, tell him it’s a rabbit or something” seemed to imply blind people cannot differentiate between dogs and rabbits and could be interpreted as “belittling blind people and offering a highly pejorative view of them”. Ofcom added: “In our view the potential offence was exacerbated by Steve Allen mocking the idea that the BBC had employed a blind cameraman. Ofcom also said Allen’s “acerbic” presenting style did not excuse “belittling the abilities of blind people in general, or more specifically a blind person who had chosen to equip himself with a guide horse”. The brevity of his comments did not lessen the potential offence, which would also have been increased by Allen’s “clearly limited” understanding of the topic, Ofcom said. The regulator found that Allen’s remarks “could be construed as offering a pejorative view about a group protected under the Equality Act 2010 without sufficient context”. Read the full Ofcom ruling here (from page six).